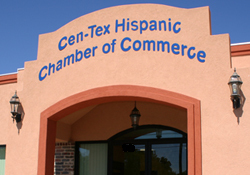 I am happy to announce that the Cen-Tex Hispanic Chamber of Commerce has become the latest chamber to join the Texas Chamber of Commerce Energy Association (TCCEA). We have been watching TCCEA for some time and are excited at the prospect of bringing the benefits of TCCEA affiliation to our members. TCCEA negotiates with energy providers on behalf of its members for lower rates. Leveraging the combined size of thousands of small, midsize and large businesses from across the state allows for greater negotiating power and lower rates. TCCEA members are saving up to 50% on their newly-negotiated energy costs. The timing of this partnership couldn’t be better. With summer months upon us many of our area businesses will be feeling the pinch of high electricity bills. We know that everyone is working hard to find ways to reduce business expenses, which makes this a wonderful opportunity. The TCCEA electricity program can substantially reduce our electricity rates. I encourage each of you to take part in this program. There is no cost to you -- only savings. In order to find out what your savings will be, please call our local representative, Keelan Johnson, at 1-877-91-ELECTRIC. This does not obligate you in any way, it simply allows TCCEA to perform the analysis required to begin the process of negotiating lower rates on our behalf.